Nissan 370Z Running Costs, MPG, Economy, Reliability, Safety | What Car? Every 370Z comes with alloy wheels, powered seats, climate control, keyless engine starting, automatic xenon headlights and a socket for an MP3 player. 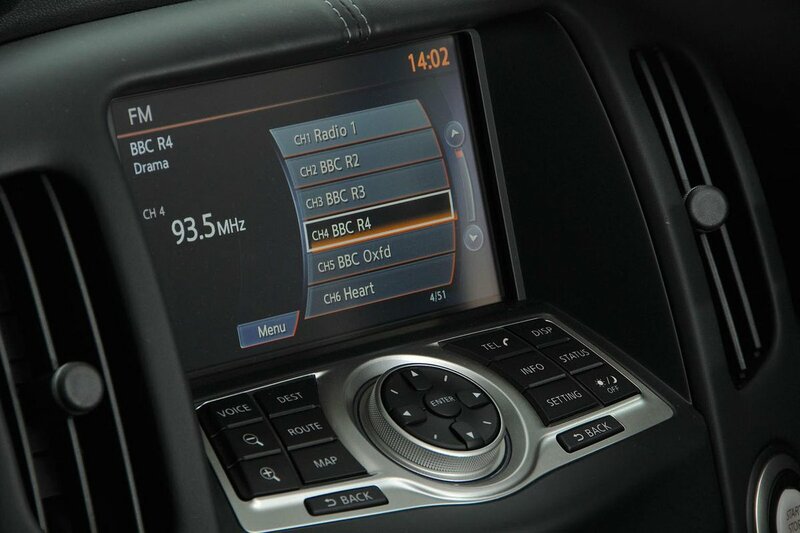 GT models add 19in alloy wheels, heated leather and suede seats with lumbar support, a 7.0in touchscreen infotainment system with sat-nav, a Bose audio system with eight speakers and the option of a seven-speed automatic transmission. The more powerful Nismo model receives mechanical upgrades over the standard car, including lightweight 19in Rays wheels, a Nismo dual exhaust, lowered suspension and an extra 16bhp from the 3.7-litre V6. All versions of the 370Z look fairly good value for money considering how much power you get. However, this is a seriously pricey car to run; its V6 petrol engine promises just 26.6mpg officially and you won’t get anywhere near that if you regularly put your foot down. High CO2 emissions mean you’ll be charged a fortune for road tax, too. 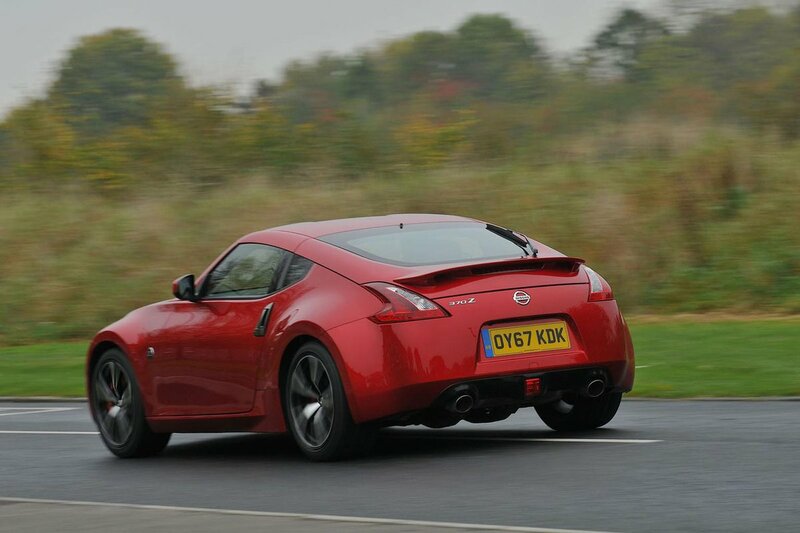 The 370Z has not been subjected to the rigours of Euro NCAP crash testing due to the expected low sales. However, Nissan hasn’t scrimped on safety kit. Stability control, front, side and curtain airbags, as well as active anti-whiplash head restraints are on hand in case of a collision. On the security front, deadlocks, locking wheel nuts and an alarm make life difficult for thieves. No wonder security experts Thatcham Research awarded the 370Z five out of five for guarding against being stolen and four out of five for resisting being broken into. 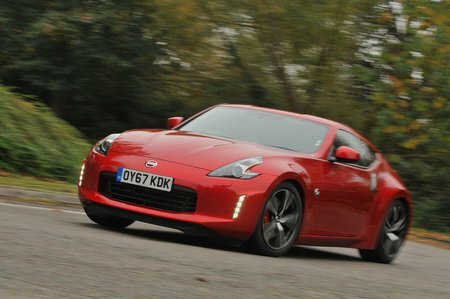 The 370Z is too rare to have featured in our reliability survey, but Nissan as a brand performed poorly, finishing in 29th place out of 32 manufacturers.